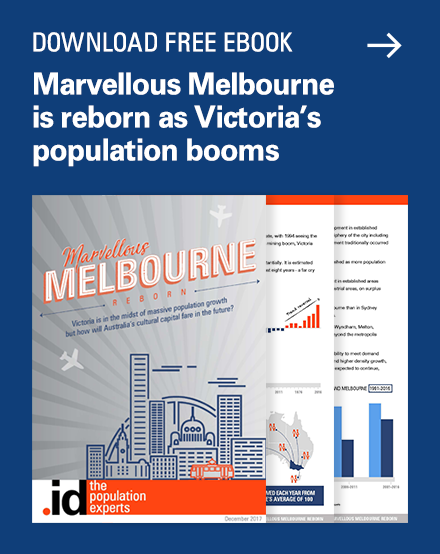 Contact us – Get in touch with our population experts. By 2036, there will be an additional 2.3 million Australians aged over 70. 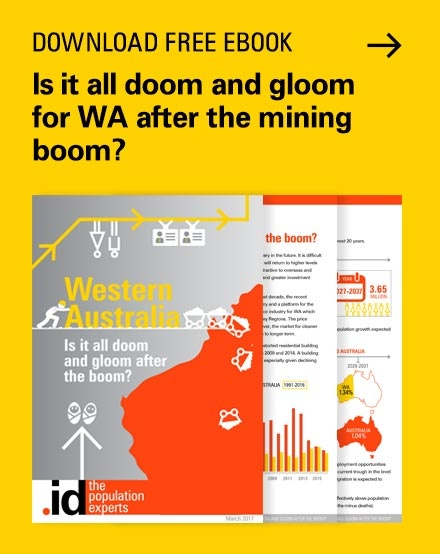 Are we adequately prepared for Australia’s ageing population? Planning and delivering aged care services and retirement living facilities is a complicated business, requiring an in-depth understanding of local demographics to know where and when services are required for our elderly population. From experience working with aged care providers, we understand that a 5-10 km radius from the facility is often used as a rule of thumb to determine where potential customers live. The distance a client will travel also depends on whether the facility is in an urban or rural environment. Other inputs worthy of consideration include the location, size and quality of competing facilities, road networks and physical infrastructure, and psychological or topographical barriers such as not wanting to cross rivers or major roads. In addition, the ability to find sites of suitable size in these areas often proves a challenge. To make matters even more complex, while some people move into care close to where they live, others prefer to move into facilities that are closer to where their children or family live. In understanding a catchment area for aged care facilities and services, it is useful to understand where both the target market and their children live. So where is the largest growth and decline in people aged over 70? 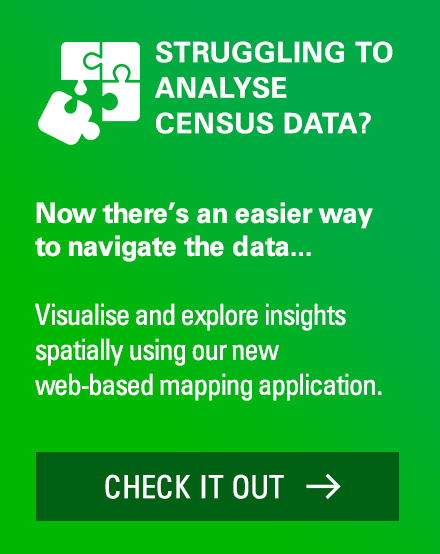 Understanding how broad population trends manifest locally is key to planning future services. Using Small Area Forecast information (.id SAFi) allows planners to zoom in and pinpoint suburbs where growth in persons aged over 70 will occur over the next two decades. 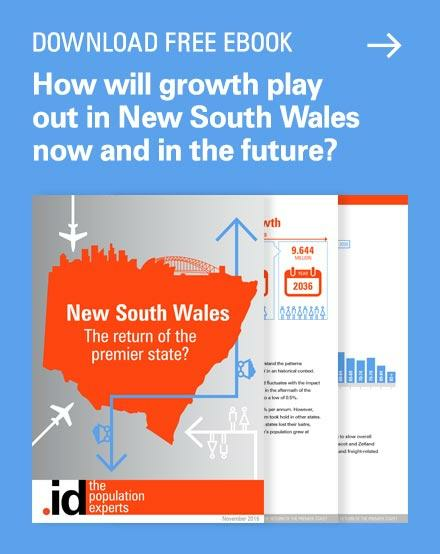 These small area population forecasts have so far been developed to cover New South Wales, Victoria, Western Australia and the ACT. 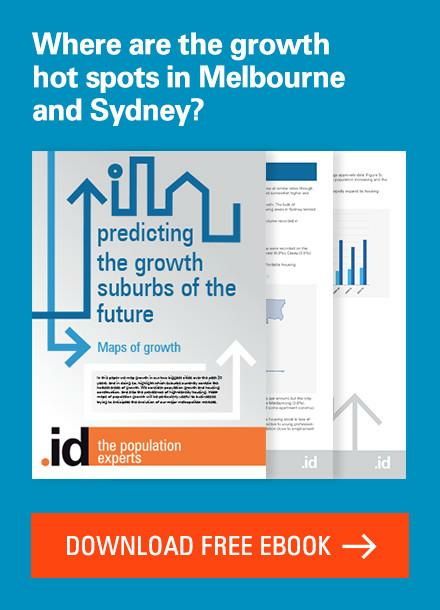 Interestingly, many of the suburbs showing growth in the 70+ population are in the growth corridors of Sydney and Perth – areas which tend to attract young families and aren’t typically associated with a growth in older residents. These areas are expecting significant overall growth, which although dominated by family age groups, also includes large numbers of older residents. Growth areas typically provide sites of sufficient size to accommodate retirement and aged care living. From a critical mass perspective, it is interesting to note that in 2016 the top two areas with the highest absolute number of people over the age of 70 were Tweed Heads South with 6,299 and Rosebud–McCrae with 5,678. By 2026, they continued their high rankings in second and third place with 7,952 and 7,296 people respectively. As you can see from the tables above, only a few areas are experiencing a decline in the number of people aged over 70. This shows how places are getting older in general as people live longer and as the baby boomer generation moves into this age group. 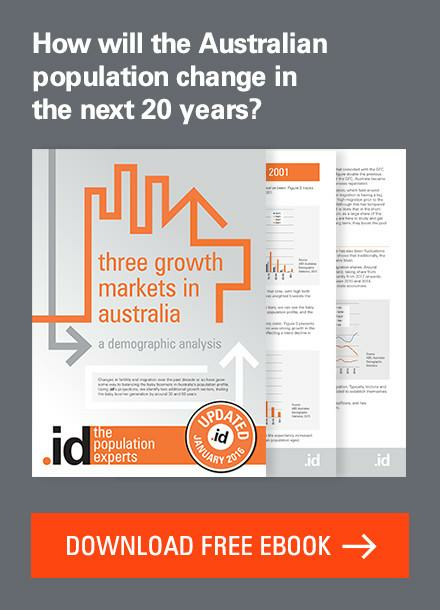 While population forecasts can tell you about the demand for aged care services over time, it is also important to look at this in the context of supply, and the demographics of the area (e.g. home ownership, house prices, socio-economic status and local amenity) as this impacts the operating model and viability of facilities. 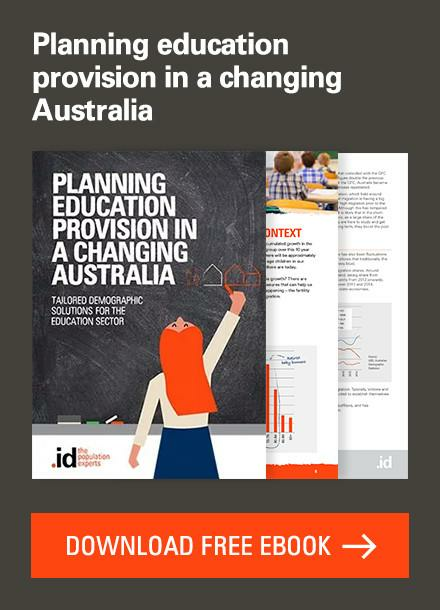 .id work with clients in the aged care sector to triangulate this information and ensure aged care services are delivered in the right place, at the right time. For more detailed information, visit our website. .id is attending the LASA National Congress 2016 in the Gold Coast from 9 – 12 October 2016. We are keen to talk to aged care and retirement living providers about the way demographic trends are impacting local areas. Katie is a Spatial Strategy Consultant with over 10 years’ experience in management consulting at .id, KPMG, PwC and Urbis. Katie has worked with blue-chip companies, Government and not-for-profits across a range of industries providing advice on network planning, development feasibility, demographic market analysis, sales forecasts, corporate strategy and scenario planning. She brings calm, clear-thinking professionalism to client projects. Katie is a skilled at asking the right questions to uncover the clients’ problem, takes complexity out of each project and puts together the right team to provide the answers in the ‘.id way’. When she’s not at work, Katie is a foodie, jogger, swimmer, kid wrangler, not-for-profit board member and coffee aficionado. 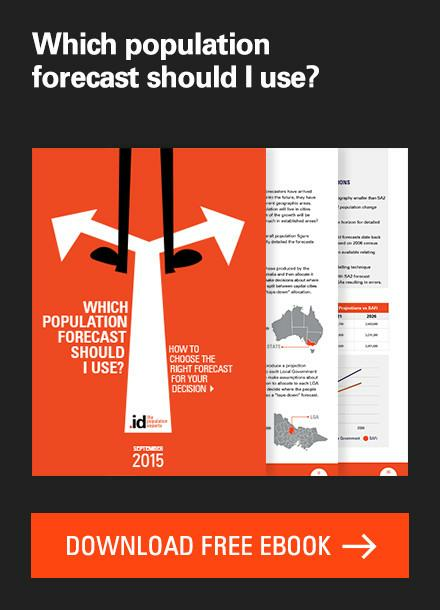 That’s really interesting – will data be calculated for Queensland too? Hi Fiona, not as yet, however we develop our forecasts based on client demand so this may be added in the future. ever increasing prices of essential utilities, and to put it bluntly we are living to long in a unfit, some painfully, physical condition to be self supporting, & self caring, without the need of in home care, ( ?? local councils, there is an issue to quality of the service ?? ) then home carers not being able to do the job without livable remuneration, which the Gov. of the day don’t want to hear about, or contribute to, but they will make promises they can’t keep for the aged vote, now, the Gov. want to scrap the aged home owner council rate concession by giving a loan of the $200=00 to come under another Dept where a management fee is established, a interest rate is charged for each concession given, then all credits given taken back from the estate when sold or the last partner of the home ownership dies …. The most devastating part is, NO State Gov. of the day can work with the Commonwealth Gov. of the day, neither could manage a Bombay massage parlor, SO! the end result is, how does Unconstitutional Local Council get away with over the hill charges, way above the C.P.I. and spend far to badly, behind closed doors, on extremities, creating charges the residents, especially the aged and pensioners, can not afford, not forgetting to mention the extremely high cost, to keep warm, or cool. The Governments of the day & unconstitutional councils, if they were re-cycled as blood and bone for parks and gardens, before Australia is re-name Asiaozz, but then you need educated people with common sense to be able to talk to each other, and know how to plan and protect Australia, as well as the Australian Citizen. And what is happening now, I very much doubt, it will ever happen. The simple reason for this is that couples are not having enough children. Just to maintain population balance a society requires a birth rate of 2.1 babies per woman in the fertile quotient. Like nearly all of the developed world Australia’s birth rate is below that, and thus we are not only not replacing ourselves, but as a society are getting older. This has all sorts of implications ranging thro’ increased welfare and medical expenditure with increased taxes to pay for it, shrinking youth segment and consumption, stagnating real estate prices and defence expenidture, greater reliance on immigration to make up for the imbalance, and with that possible dramatic cultural discord or even clashes. Previous story How can demographics help your business?